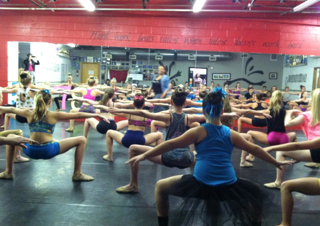 Find out what dance studios and students across the country are talking about! This LA style workshop is designed to travel to studios focusing on performance in a 3 hour workshop! In addition to learning dance combinations in different styles, this fun workshop is packed with exercises to build a dancer's confidence, give them creative ways to freestyle, and push themselves to feel, perform, and tell a story with their movement! 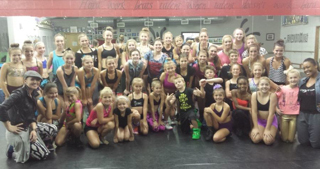 The Step It Up Workshop Tour pushes students to step it up in their performance, take chances with choreography and freestyle, and work on direction when working with choreographers and teachers! Contact us now and see how your studio can be added to the tour everyone is talking about and how we can all Step It Up together! If you want your studio to be added to the tour or if you want to find out when we are in your area next contact us at stepitupco@gmail.com! 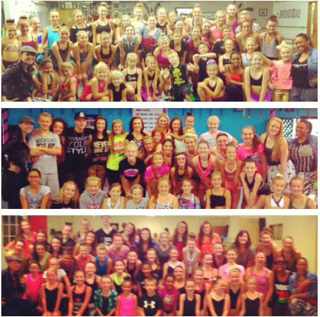 "Couldn't be more thankful for the experience Hannah Steadman and Kelly Dolan just brought to our studio! 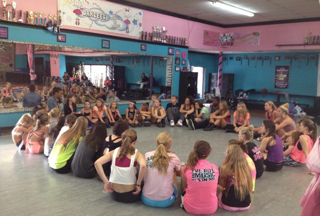 Step it up is a workshop that all studios need to experience! 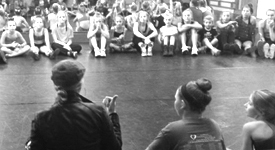 Thank you for your genuine passion in mentoring the next generation of working dancers. Im thrilled for the new friendships we made today!"